Nexus 5X is the latest android smartphone from Google and already launched in India and other countries too. The new phone is packed with some new features and Specs. The device comes with the latest version of Android 6.0 Marshmallow OS and runs on the 64-bit Snapdragon 808 hexa-core processor clocked at 2.0GHz, 2GB of RAM. If you recently bought the Nexus 5X, you should be getting an update soon if you haven’t already. Google just released the new 40MB MDB08I update for the phone, and most of the user already got this update. There is no such new about the change in the new update, neither Google nor LG have made any official announcements regarding the update. There are likely some bug fixes included, though. 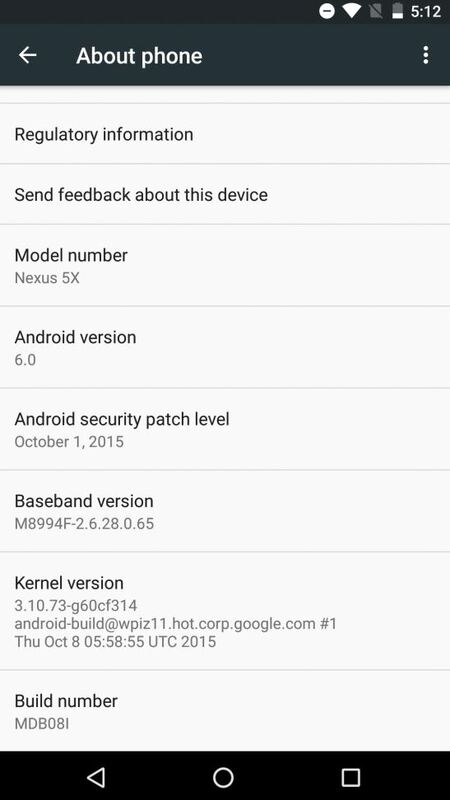 IF you are the Nexus 5X user then fo to the Settings > About Phone > System update and get the update. If there is not update for your then you will get the soon. 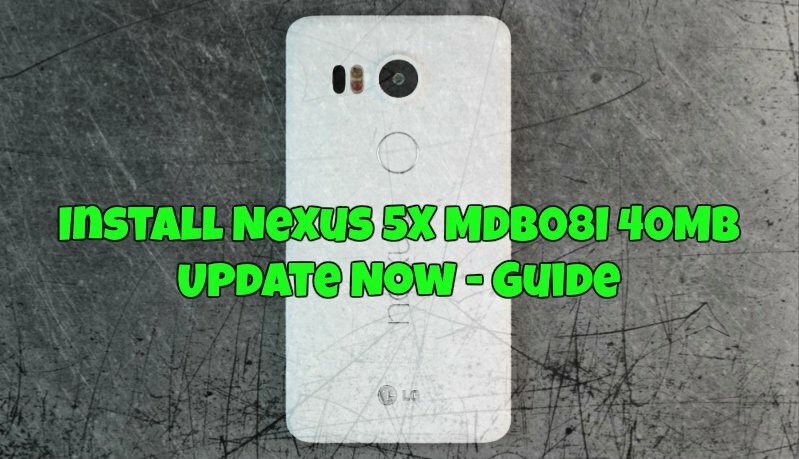 If you own a Nexus 5X and haven’t seen the update yet and you are running on the build MDA89E, then you can apply this update manually on your phone and enjoy the new update on your phone. Below are the download link and guide to apply this update manually on your Nexus 5X. Download the build MDB08I file here and save it on your windows desktop. Once the file is downloaded, sideload the zip file via ADB commands on your phone and flash the latest update on your LG Nexus 5X. The process is very easy and takes a few seconds to complete the setup. If you need help sideloading OTA updates anbd want to apply on you phone, hit up these instructions and follow them one by one on your Nexus 5x with this downloaded zip file.